You can use your Android Tablet as External Monitor by using a small pair of applications. As like other similar applications for client and PC setup, this app to enable?Android Tablet as External Monitor?also needs two parts – one small app that should be installed on your Android Tablet and the other part should be installed on the computer (separate exe and package available foe Windows and Mac). The software package needed to enable Android Tablet as External Monitor?is named iDisplay, you need to download the apk app for Android and exe or package for Mac. In order to use this software to use Android Tablet as External Monitor, you need to install Google USB device driver as well on your PC. The apk file is about 500 KB, the desktop app is about 4 MB. The Android app has a trial period, after that you need to buy the software ($5). Click the download link to visit the iDisplay website to install apps to enable Android Tablet as External Monitor. This Article Has Been Shared 7443 Times! I want a tablet solely to act as a small, USB-connected external monitor. I have two large screens, now want an additional, small one solely for system monitoring (temperatures, processes, etc). I see older android tables reasonable, eg under $70 for 9″ 2+ tablet. I’d like to configure the tablet start up with the app so nothing needs to be done but to turn it on – no further fiddling with touchscreen or tablet apps. Is such a thing practical (at a lower cost than equivalent small monitors, which are sometimes on sale for around $50 but otherwise seem incredibly to be getting – or asking! – $150 or so these days). Most of these budget tablets will fail (either the battery or other component) if they run for 24×7 plus its practically impossible to run only some specific app on startup with Android OS. Basically you want a device that acts as an plug and play monitor. That is actually a kind of data logger and specific systems are sold with proper connectivity options. They has just a specific OS and dedicated keys. If the tablet is not being used 24/7 and only infrequently as a supplemental presentation device. How can the tablet be cable connected to a laptop? My need is to present 3D virtual models to client(s). There may not be wifi available at these client meetings, so a cable connection is required. 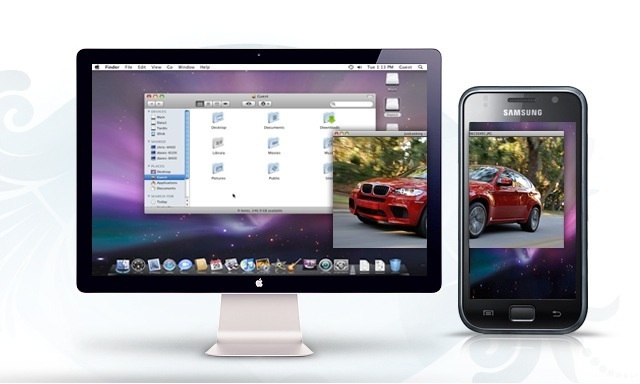 Cite this article as: Abhishek Ghosh, "Android Tablet as External Monitor For Windows PC and Mac," in The Customize Windows, November 5, 2011, April 19, 2019, https://thecustomizewindows.com/2011/11/android-tablet-as-external-monitor-for-windows-pc-and-mac/.